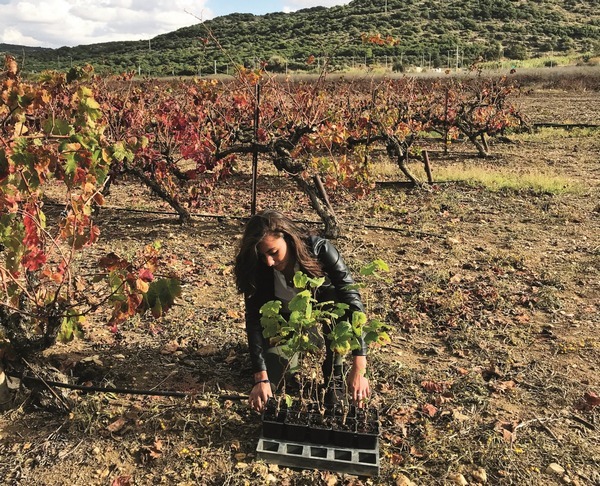 Though the vine-planting isn’t done by the purchaser, live events such as Wine on Canvas – combining Israeli wines and artworks – offer a personal taste of the merchandise in Israel and abroad. That brings us to another TIIF initiative, the Hebrew Wallpaper Project. One aspect of the project is sending Israeli street artists to create large public murals in Israeli and overseas communities where access to public art is limited. Another is an Artist-in-Residence program that provides a living wage plus materials and studio expenses to promising Israeli artists who have a fresh artistic message. “We promote our artists through events, digital campaigns and publicity, in exchange for the rights to resell their work and related merchandise,” says Bellos. The pilot Artist-in-Residence slot was filled by Solomon Souza, who has received international attention for his “night gallery” of portraits on the shutters of shops in Jerusalem’s Machaneh Yehuda market. As part of his six-month residency from June to December 2018, Souza did live performance art at TIIF parties in the US and Israel. And he created original works for sale through TIIF’s online store ranging in price from $18 for a poster to $1,200 for a signed limited-edition serigraph. The Hebrew Wallpaper project recently crowdfunded nearly $20,000 to continue expanding. Israeli wine, music, art and food figure prominently at the Jaffa Nights parties TIIF has thrown in cities including Tel Aviv, Jerusalem, New York City, Hartford (Connecticut), Cincinnati (Ohio) and Scottsdale (Arizona). So far there have been about 20 parties with a total of 1,200 guests. Jaffa Nights is an outgrowth of the launch party for Wine on the Vine at the Noor Jaffa club in January 2018, featuring a local jazz band and an art auction. TIIF also engages in video production through its What If? Studios brand. The collection thus far features short productions about Israeli wine culture and street art in the Tel Aviv neighborhood of Florentin. “These videos are geared toward a millennial audience with a fast pace, interesting content and lots of humor,” says Bellos, who also hopes to do a scripted comedy series. Bellos began raising money to launch TIIF through immersing himself in the stock market in 2015 when he came back to Israel after a year of doing business in China. “I saw all kinds of great ideas and initiatives [to promote Israeli culture] but there was always a money problem. I wanted to be the guy that brings the money to make them happen,” he tells ISRAEL21c.